Tom Watson is not only a legend in the world of golf, but is he considered one of the top motivational speakers on the circuit today. He inspires audiences wherever he goes, with stories of how he faced extraordinary challenges throughout his career in order to succeed and excel at the highest level. Tom Watson is a top motivational speaker at PFP Sports and Celebrity Booking Agency. I just returned last week from an event in the Midwest that I provide athletes for each year. This year’s lineup included football Hall of Famer Tony Dorsett and baseball Hall of Famer Andre Dawson. And while both did a great job and received rave reviews, the person who stole the show was someone named Butch Lumpkin. AUGUSTA, GA – There are so many traditions at the Masters and one is if you have The Masters Championship in a group of which Tiger Woods has won four, this gives him the honor of playing on the first tee first. AUGUSTA,GA – Tiger Woods took all questions at the Masters press conference Monday, April 5, which marked his first live televised interview since his car crash and the revelation of his many alleged affairs. Showing sincerity and true redemption, he seemed like a new man determined to win this year’s Master’s tournament and to move on with his life. 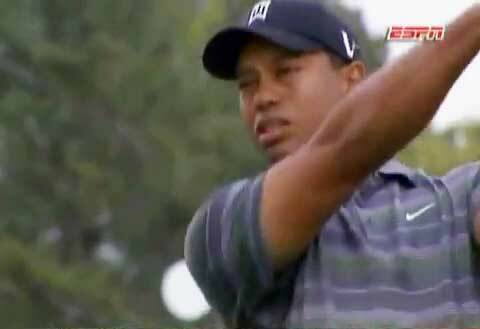 Tiger Woods is determined to win The Masters tournament this year. PALM HARBOR, FL – Tiger Woods has announced today that he will play golf in the Masters which is scheduled to begin next month on April 8. Golfing legend Jack Nicklaus said on March 4, that “it would surprise me” if Tiger Woods did not return to competitive golf in time for the Masters. It looks like Nicklaus was right.